Levi Arbogast of Battle Mountain Forge has been a blacksmith for the last 20 years. Specializing in rustic housewares, from forks and knives, to candlestick holders and custom chandeliers. He is always looking for unique custom orders to challenge his skills. Levi also enjoys getting back to the roots of blacksmithing, creating historical weapons of war such as battle axes and swords, as well as armor for both man and beast. 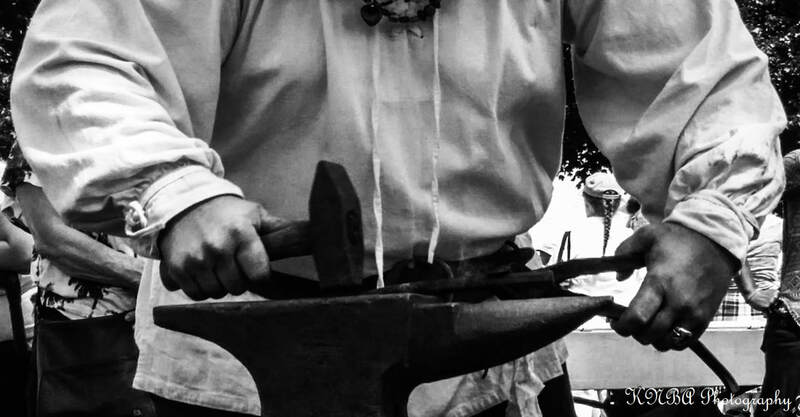 Blacksmithing runs in Levi’s blood and has been his calling since he inherited his grandfather’s buffalo blower, which was used in his forge on their ranch. Levi is passionate about carrying on the blacksmithing tradition and is teaching his two sons to blacksmith. Levi has shared this great art form with all of us at the Spokane Highland Games for the past 17 years.